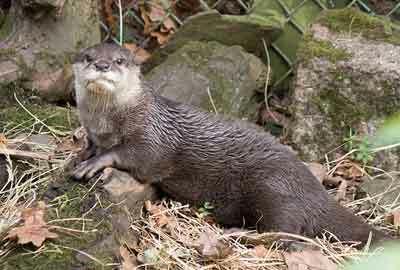 Apricot, female Asian Short-Clawed Otter, arrived in November 2015 at the Cornish Seal Sanctuary. She was moved from Birmingham Sea Life Sanctuary after trying to be dominant with her sister Mango. Her new partner is Harris, he came from the Welsh Mountain Zoo in early 2016. We will let you into a secret, Apricot doesn´t like water at all, it will make it easier for the Animal Care Team to hide vitamin supplements in her tablets.